From leaf patterns to light refractions in a crystal, Sasha's unique perspective comes from the inspiration she finds in nature. 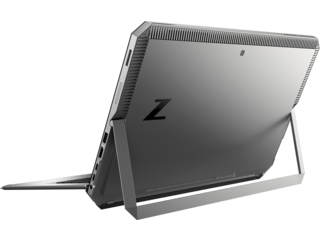 The ZBook x2 fits seamlessly into her creative process, thanks to its perfect marriage of mobility and performance. The speed and responsiveness of the ZBook x2 suits Chuck's needs perfectly. HeÃ¢â‚¬â„¢sÃ‚ been creating a new reality with his art by capturing stunning photographs and adding other-worldly elements to create a completely original style. Moon continually pursues his own artistic vision, influenced by his surroundings, from the streets of Paris to the outdoors. 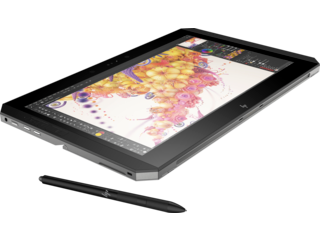 His favorite aspect of the ZBook x2 is the accuracy of the pen, with the precision required for the detail he uses in his work. The speed and responsiveness of the ZBook x2 suits Chuck's needs perfectly. He's been creating a new reality with his art by capturing stunning photographs and adding other-worldly elements to create a completely original style. Multiple modes and ultimate versatility - go from laptop to tablet whenever inspiration strikes. Full-performance workstation-class laptop experience with full-sized keyboard and integrated stand. The full-sized Bluetooth® keyboard stays active when detached, so you can keep working. With HP Quick Keys, keep working in your Adobe® apps without the use of a keyboard. 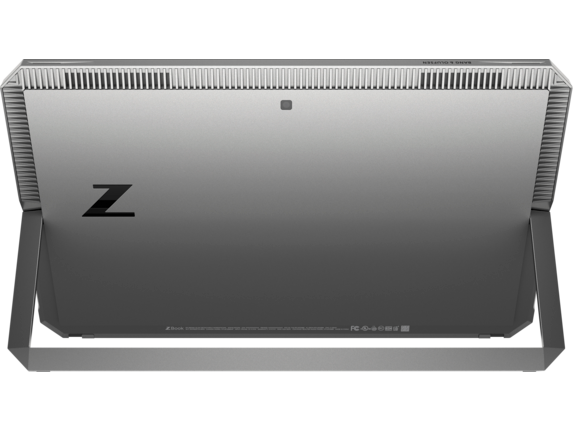 Power dual 4K displays from the ZBook dock2 with Thunderbolt™ 3 ports. Create without interruption with a professional Wacom EMR pen. Work quickly and comfortably with 18 preconfigured shortcuts at your fingertips, customized for all your favorite Adobe applications. With HP Quick Keys, easily change the brush size and hardness, turn touch on and off, pan and zoom, lock and unlock, and see a full-screen preview. The full-sized keyboard is Bluetooth®-enabled to stay active when detached, so you have access to shortcut key combinations when working in applications like Adobe® Photoshop®. Immerse yourself in 1 billion colors2 on a stunning 4K multi-touch display. Work in any lighting with the anti-glare touchscreen - it's the world's most advanced detachable PC display3. 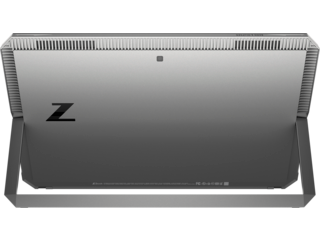 The HP ZBook x2 gives you more power, more usability, and more versatility. Extra ports, including dual Thunderbolt™ 3, USB 3.0 charging, and a Smart Card slot, give you the ability to make the connections you need. Experience the dual-fan active cooling system, designed to dissipate heat from the powerful NVIDIA® graphics cards and Intel® quad-core processors. We've hand-picked customized SKUs for you, knowing the kind of power and performance you need to get the most out of the applications you use each day. Work at the speed of your ideas with the latest Intel® Quad Core™ processors and up to 4.2GHz of turbo boost. NVIDIA® Quadro® graphics for real-time visualization of multi-layered artwork and creative projects. Choose the versatile HP ZBook x2 to power your favorite Adobe® applications and propel your creativity into new possibilities. Intel, the Intel logo, Intel Core, nVMe, and Optane are trademarks or registered trademarks of the Intel Corporation or its subsidiaries in the United States and other countries. Microsoft, Windows, and the Windows Logo are trademarks or registered trademarks of Microsoft Corporation in the U.S. and other countries. Based on detachables of vendors as of February 8, 2017 shipping >100K units over the last 3 quarters ending 2016Q4. Power based on processor, graphics and memory. Based on detachables of vendors as of February 8, 2017 shipping >100K units over the last 3 quarters ending 2016Q4 and display resolution, color gamut and maximum colors supported. Not all features are available in all editions or versions of Windows. Systems may require upgraded and/or separately purchased hardware, drivers and/or software to take full advantage of Windows. Multi-Core is designed to improve performance of certain software products. Not all customers or software applications will necessarily benefit from use of this technology. Performance and clock frequency will vary depending on application workload and your hardware and software configurations. Intel's numbering is not a measurement of higher performance. Based on memory capacity of detachables of vendors as of February 8, 2017 shipping >100K units over the last 3 quarters ending 2016Q4. For hard drives, GB = 1 billion bytes. TB = 1 trillion bytes. Actual formatted capacity is less. Up to 30GB (for Windows 10) of system disk is reserved for system recovery software. Recharges your battery up to 50% within 30 minutes when the system is off or in standby mode. Power adapter with a minimum capacity of 65 watts is required. After charging has reached 50% capacity, charging will return to normal. Charging time may vary +/-10% due to System tolerance. These products are pre-built and ready to be shipped right away. Introducing HP's most powerful detachable PC. With remarkable performance and versatility to push your favorite Adobe® applications to the limit, no PC is better suited to turn your vision into reality. 1 year (1-1-0) limited warranty and service offering includes 1 year of parts and labor. Terms and conditions vary by country. Wireless cards are optional or add-on features and requires separately purchased wireless access point and internet service. Availability of public wireless access points limited. The specifications for the 802.11ac WLAN are draft specifications and are not final. If the final specifications differ from the draft specifications, it may affect the ability of the notebook to communicate with other 802.11ac WLAN devices. Windows Hello face authentication utilizes a camera specially configured for near infrared (IR) imaging to authenticate and unlock Windows devices as well as unlock your Microsoft Passport. HP ePrint Driver: Requires an internet connection to HP web-enabled printer and HP ePrint account registration (for a list of eligible printers, supported documents and image types and other HP ePrint details, see www.hp.com/go/businessmobileprinting. HP Remote Graphics Software: Rrequires a Windows, Linux®, or Mac®OS X 10.10 and newer operating system and network access. HP Client Security Suite Gen3 requires Windows and Intel® or AMD 7th Gen processors. BIOS Absolute Persistence module is shipped turned off, and will be activated when customers purchase and activate a subscription. Service may be limited. Check with Absolute for availability outside the U.S. The optional subscription service of Absolute Recovery Guarantee is a limited warranty. Certain conditions apply. For full details visit: http://www.absolute.com/company/legal/agreements/computrace-agreement. If Data Delete is utilized, the Recovery Guarantee payment is null and void. In order to use the Data Delete service, customers must first sign a Pre-Authorization Agreement and either create a PIN or purchase one or more RSA SecurID tokens from Absolute Software. HP Password Manager: Some websites and applications may not be supported. User may need to enable or allow the add-on / extension in the internet browser. HP Sure Start Gen3 is available on HP EliteBook, HP ZBook, and HP Z Workstation products equipped with Intel® 7th generation processors. The HP 65W Smart AC Adapter Configurations with Intel HD graphics only, does not support HP Fast Charge. Power On Authentication: HP commercial platforms support password with this feature and fingerprint where applicable. HP SoftPaq Download Manager (SDM); HP System Software Manager (SSM); HP Management Integration Kit for Microsoft System Center Configuation Manager: Not preinstalled, however available for download at http://www.hp.com/go/clientmanagement. HP Driver Packs not preinstalled, however available for download at http://www.hp.com/go/clientmanagement. HP Management Integration Kit can be downloaded from http://www8.hp.com/us/en/ads/clientmanagement/overview.html. Hybrid Graphics configurations and Intel HD graphics configurations. 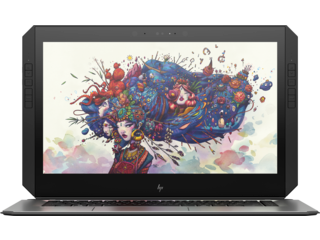 HP ZBook x2 G4 detachable pc is planned to be available for shipment with the above Intel® 7th generation processors in December 2017 and Intel 8th Gen processors in early 2018. Windows Defender Opt In, Windows 10, and internet connection required for updates. 1 Not all features are available in all editions or versions of Windows. Systems may require upgraded and/or separately purchased hardware, drivers, software or BIOS update to take full advantage of Windows functionality. Windows 10 is automatically updated, which is always enabled. ISP fees may apply and additional requirements may apply over time for updates. See http://www.windows.com. 2 Multicore is designed to improve performance of certain software products. Not all customers or software applications will necessarily benefit from use of this technology. Performance and clock frequency will vary depending on application workload and your hardware and software configurations. Intel’s numbering, branding and/or naming is not a measurement of higher performance. 3 In accordance with Microsoft’s support policy, HP does not support the Windows 8 or Windows 7 operating system on products configured with Intel and AMD 7th generation and forward processors or provide any Windows 8 or Windows 7 drivers on http://www.support.hp.com. 4 For hard drives and solid state drives, 1 GB = 1 billion bytes. TB = 1 trillion bytes. Actual formatted capacity is less. Up to 30 GB of system disk is reserved for system recovery software. 5 Wireless cards are optional or add-on features and requires separately purchased wireless access point and internet service. Availability of public wireless access points limited. The specifications for the 802.11ac WLAN are draft specifications and are not final. If the final specifications differ from the draft specifications, it may affect the ability of the notebook to communicate with other 802.11ac WLAN devices. 6 HD content required to view HD images. 7 Optional or add-on feature. 8 Windows Hello face authentication utilizes a camera specially configured for near infrared (IR) imaging to authenticate and unlock Windows devices as well as unlock your Microsoft Passport. 9 HP ePrint Driver: Requires an internet connection to HP web-enabled printer and HP ePrint account registration (for a list of eligible printers, supported documents and image types and other HP ePrint details, see www.hp.com/go/businessmobileprinting. 10 HP Remote Graphics Software: Rrequires a Windows, Linux®, or Mac®OS X 10.10 and newer operating system and network access. 11 HP Client Security Suite Gen3 requires Windows and Intel® or AMD 7th Gen processors. 12 BIOS Absolute Persistence module is shipped turned off, and will be activated when customers purchase and activate a subscription. Service may be limited. Check with Absolute for availability outside the U.S. The optional subscription service of Absolute Recovery Guarantee is a limited warranty. Certain conditions apply. For full details visit: http://www.absolute.com/company/legal/agreements/computrace-agreement. If Data Delete is utilized, the Recovery Guarantee payment is null and void. In order to use the Data Delete service, customers must first sign a Pre-Authorization Agreement and either create a PIN or purchase one or more RSA SecurID tokens from Absolute Software. 13 HP Password Manager: Some websites and applications may not be supported. User may need to enable or allow the add-on / extension in the internet browser. 14 HP Sure Start Gen3 is available on HP EliteBook, HP ZBook, and HP Z Workstation products equipped with Intel® 7th generation processors. 15 The HP 65W Smart AC Adapter Configurations with Intel HD graphics only, does not support HP Fast Charge. 16 EPEAT® registered where applicable. EPEAT registration varies by country. See www.epeat.net for registration status by country. Search keyword generator on HP’s 3rd party option store for solar generator accessories at http://www.hp.com/go/options www.hp.com/go/options 17 External power supplies, power cords, cables and peripherals are not low halogen. Service parts obtained after purchase may not be low halogen. 18 HP Support Assistant: Requires Windows and Internet Access. 19 Power On Authentication: HP commercial platforms support password with this feature and fingerprint where applicable. 20 HP SoftPaq Download Manager (SDM); HP System Software Manager (SSM); HP Management Integration Kit for Microsoft System Center Configuation Manager: Not preinstalled, however available for download at http://www.hp.com/go/clientmanagement. 21 HP Driver Packs not preinstalled, however available for download at http://www.hp.com/go/clientmanagement. 22 HP Management Integration Kit can be downloaded from http://www8.hp.com/us/en/ads/clientmanagement/overview.html. 23 Hybrid Graphics configurations and Intel HD graphics configurations. 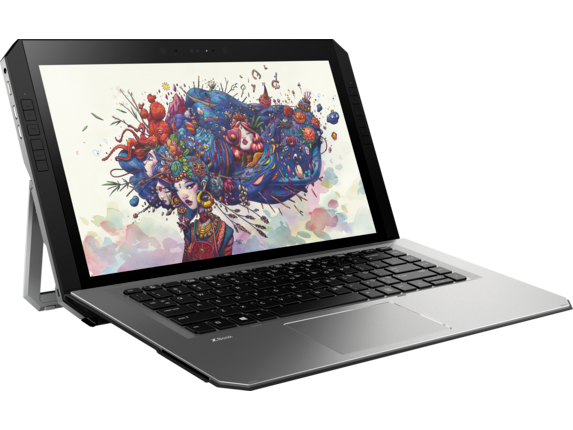 24 Requires Windows and Intel® 7th generation processors 25 HP ZBook x2 G4 detachable pc is planned to be available for shipment with the above Intel® 7th generation processors in December 2017 and Intel 8th Gen processors in early 2018. 26 Windows Defender Opt In, Windows 10, and internet connection required for updates. 11 HP Client Security Suite Gen3 requires Windows and Intel® or AMD 7th Gen processors. 12 BIOS Absolute Persistence module is shipped turned off, and will be activated when customers purchase and activate a subscription. Service may be limited. Check with Absolute for availability outside the U.S. The optional subscription service of Absolute Recovery Guarantee is a limited warranty. Certain conditions apply. For full details visit: http://www.absolute.com/company/legal/agreements/computrace-agreement. If Data Delete is utilized, the Recovery Guarantee payment is null and void. In order to use the Data Delete service, customers must first sign a Pre-Authorization Agreement and either create a PIN or purchase one or more RSA SecurID tokens from Absolute Software. 13 HP Password Manager: Some websites and applications may not be supported. User may need to enable or allow the add-on / extension in the internet browser. 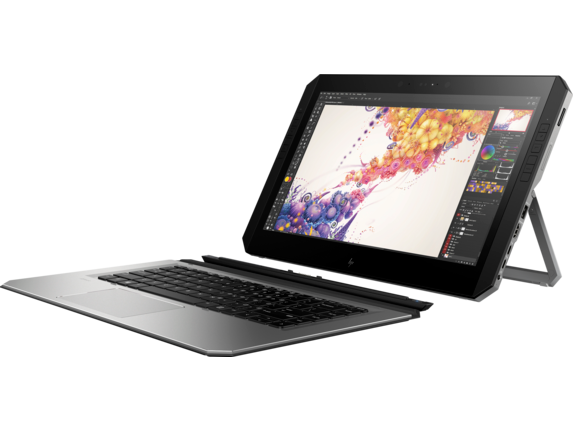 14 HP Sure Start Gen3 is available on HP EliteBook, HP ZBook, and HP Z Workstation products equipped with Intel® 7th generation processors. 19 Power On Authentication: HP commercial platforms support password with this feature and fingerprint where applicable. 9 HP ePrint Driver: Requires an internet connection to HP web-enabled printer and HP ePrint account registration (for a list of eligible printers, supported documents and image types and other HP ePrint details, see www.hp.com/go/businessmobileprinting. 10 HP Remote Graphics Software: Rrequires a Windows, Linux®, or Mac®OS X 10.10 and newer operating system and network access. 18 HP Support Assistant: Requires Windows and Internet Access. 26 Windows Defender Opt In, Windows 10, and internet connection required for updates. 1 Weight will vary by configuration. 2 For hard drives, GB = 1 billion bytes. TB = 1 trillion bytes. Actual formatted capacity is less. Up to 30GB (for Windows 10) of system disk is reserved for system recovery software. 3 Multicore is designed to improve performance of certain software products. Not all customers or software applications will necessarily benefit from use of this technology. Performance and clock frequency will vary depending on application workload and your hardware and software configurations. Intel’s numbering, branding and/or naming is not a measurement of higher performance. 4 Not all features are available in all editions or versions of Windows. Systems may require upgraded and/or separately purchased hardware, drivers and/or software to take full advantage of Windows functionality. Windows 10 is automatically updated, which is always enabled. ISP fees may apply and additional requirements may apply over time for updates. See http://www.windows.com. 5 Sold separately or as an optional feature. 6 MIL-STD-810G testing is pending . Testing is not intended to demonstrate fitness of U.S. Department of Defense (DoD) contract requirements or for military use. Test results are not a guarantee of future performance under these test conditions. Accidental damage requires an optional HP Accidental Damage Protection Care Pack. 1 Not all features are available in all editions or versions of Windows. Systems may require upgraded and/or separately purchased hardware, drivers, software or BIOS update to take full advantage of Windows functionality. Windows 10 is automatically updated, which is always enabled. ISP fees may apply and additional requirements may apply over time for updates. See http://www.windows.com. 2 Multicore is designed to improve performance of certain software products. Not all customers or software applications will necessarily benefit from use of this technology. Performance and clock frequency will vary depending on application workload and your hardware and software configurations. Intel’s numbering, branding and/or naming is not a measurement of higher performance. 3 In accordance with Microsoft’s support policy, HP does not support the Windows 8 or Windows 7 operating system on products configured with Intel and AMD 7th generation and forward processors or provide any Windows 8 or Windows 7 drivers on http://www.support.hp.com. 4 For hard drives and solid state drives, 1 GB = 1 billion bytes. TB = 1 trillion bytes. Actual formatted capacity is less. Up to 30 GB of system disk is reserved for system recovery software. 5 Wireless cards are optional or add-on features and requires separately purchased wireless access point and internet service. Availability of public wireless access points limited. The specifications for the 802.11ac WLAN are draft specifications and are not final. If the final specifications differ from the draft specifications, it may affect the ability of the notebook to communicate with other 802.11ac WLAN devices. 6 HD content required to view HD images. 7 Optional or add-on feature. 8 Windows Hello face authentication utilizes a camera specially configured for near infrared (IR) imaging to authenticate and unlock Windows devices as well as unlock your Microsoft Passport. 9 HP ePrint Driver: Requires an internet connection to HP web-enabled printer and HP ePrint account registration (for a list of eligible printers, supported documents and image types and other HP ePrint details, see www.hp.com/go/businessmobileprinting. 10 HP Remote Graphics Software: Rrequires a Windows, Linux®, or Mac®OS X 10.10 and newer operating system and network access. 11 HP Client Security Suite Gen3 requires Windows and Intel® or AMD 7th Gen processors. 12 BIOS Absolute Persistence module is shipped turned off, and will be activated when customers purchase and activate a subscription. Service may be limited. Check with Absolute for availability outside the U.S. The optional subscription service of Absolute Recovery Guarantee is a limited warranty. Certain conditions apply. For full details visit: http://www.absolute.com/company/legal/agreements/computrace-agreement. If Data Delete is utilized, the Recovery Guarantee payment is null and void. In order to use the Data Delete service, customers must first sign a Pre-Authorization Agreement and either create a PIN or purchase one or more RSA SecurID tokens from Absolute Software. 13 HP Password Manager: Some websites and applications may not be supported. User may need to enable or allow the add-on / extension in the internet browser. 14 HP Sure Start Gen3 is available on HP EliteBook, HP ZBook, and HP Z Workstation products equipped with Intel® 7th generation processors. 15 The HP 65W Smart AC Adapter Configurations with Intel HD graphics only, does not support HP Fast Charge. 16 EPEAT® registered where applicable. EPEAT registration varies by country. See www.epeat.net for registration status by country. Search keyword generator on HP’s 3rd party option store for solar generator accessories at http://www.hp.com/go/options www.hp.com/go/options 17 External power supplies, power cords, cables and peripherals are not low halogen. Service parts obtained after purchase may not be low halogen. 18 HP Support Assistant: Requires Windows and Internet Access. 19 Power On Authentication: HP commercial platforms support password with this feature and fingerprint where applicable. 20 HP SoftPaq Download Manager (SDM); HP System Software Manager (SSM); HP Management Integration Kit for Microsoft System Center Configuation Manager: Not preinstalled, however available for download at http://www.hp.com/go/clientmanagement. 21 HP Driver Packs not preinstalled, however available for download at http://www.hp.com/go/clientmanagement. 22 HP Management Integration Kit can be downloaded from http://www8.hp.com/us/en/ads/clientmanagement/overview.html. 23 Hybrid Graphics configurations and Intel HD graphics configurations. 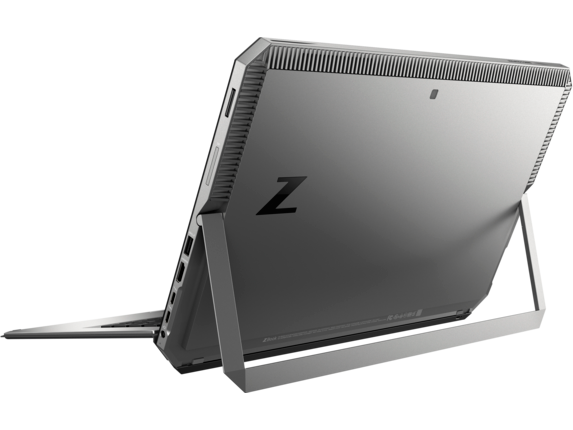 24 Requires Windows and Intel® 7th generation processors 25 HP ZBook x2 G4 detachable pc is planned to be available for shipment with the above Intel® 7th generation processors in December 2017 and Intel 8th Gen processors in early 2018. 26 Windows Defender Opt In, Windows 10, and internet connection required for updates. 11 HP Client Security Suite Gen3 requires Windows and Intel® or AMD 7th Gen processors. 3 year or 1 year limited warranty options available, depending on country. Batteries have the same 1 year or 3 year limited warranty as the platform. 24/7 operation will not void the HP warranty. Optional HP Care Pack Services are extended service contracts which go beyond your standard limited warranties. These products are fully customizable and made just for you. Windows 10 Pro 64 - HP recommends Windows 10 Pro. 1 Not all features are available in all editions or versions of Windows. Systems may require upgraded and/or separately purchased hardware, drivers and/or software to take full advantage of Windows functionality. Windows 10 is automatically updated, which is always enabled. ISP fees may apply and additional requirements may apply over time for updates. See http://www.windows.com. 2 Sold separately or as an optional feature. 3 MIL-STD-810G testing is pending . Testing is not intended to demonstrate fitness of U.S. Department of Defense (DoD) contract requirements or for military use. Test results are not a guarantee of future performance under these test conditions. Accidental damage requires an optional HP Accidental Damage Protection Care Pack. 4 1 Not all features are available in all editions or versions of Windows. Systems may require upgraded and/or separately purchased hardware, drivers, software or BIOS update to take full advantage of Windows functionality. Windows 10 is automatically updated, which is always enabled. ISP fees may apply and additional requirements may apply over time for updates. See http://www.windows.com. 2 Multicore is designed to improve performance of certain software products. Not all customers or software applications will necessarily benefit from use of this technology. Performance and clock frequency will vary depending on application workload and your hardware and software configurations. Intel’s numbering, branding and/or naming is not a measurement of higher performance. 3 In accordance with Microsoft’s support policy, HP does not support the Windows 8 or Windows 7 operating system on products configured with Intel and AMD 7th generation and forward processors or provide any Windows 8 or Windows 7 drivers on http://www.support.hp.com. 4 For hard drives and solid state drives, 1 GB = 1 billion bytes. TB = 1 trillion bytes. Actual formatted capacity is less. Up to 30 GB of system disk is reserved for system recovery software. 5 Wireless cards are optional or add-on features and requires separately purchased wireless access point and internet service. Availability of public wireless access points limited. The specifications for the 802.11ac WLAN are draft specifications and are not final. If the final specifications differ from the draft specifications, it may affect the ability of the notebook to communicate with other 802.11ac WLAN devices. 6 HD content required to view HD images. 7 Optional or add-on feature. 8 Windows Hello face authentication utilizes a camera specially configured for near infrared (IR) imaging to authenticate and unlock Windows devices as well as unlock your Microsoft Passport. 9 HP ePrint Driver: Requires an internet connection to HP web-enabled printer and HP ePrint account registration (for a list of eligible printers, supported documents and image types and other HP ePrint details, see www.hp.com/go/businessmobileprinting. 10 HP Remote Graphics Software: Rrequires a Windows, Linux®, or Mac®OS X 10.10 and newer operating system and network access. 11 HP Client Security Suite Gen3 requires Windows and Intel® or AMD 7th Gen processors. 12 BIOS Absolute Persistence module is shipped turned off, and will be activated when customers purchase and activate a subscription. Service may be limited. Check with Absolute for availability outside the U.S. The optional subscription service of Absolute Recovery Guarantee is a limited warranty. Certain conditions apply. For full details visit: http://www.absolute.com/company/legal/agreements/computrace-agreement. If Data Delete is utilized, the Recovery Guarantee payment is null and void. In order to use the Data Delete service, customers must first sign a Pre-Authorization Agreement and either create a PIN or purchase one or more RSA SecurID tokens from Absolute Software. 13 HP Password Manager: Some websites and applications may not be supported. User may need to enable or allow the add-on / extension in the internet browser. 14 HP Sure Start Gen3 is available on HP EliteBook, HP ZBook, and HP Z Workstation products equipped with Intel® 7th generation processors. 15 The HP 65W Smart AC Adapter Configurations with Intel HD graphics only, does not support HP Fast Charge. 16 EPEAT® registered where applicable. EPEAT registration varies by country. See www.epeat.net for registration status by country. Search keyword generator on HP’s 3rd party option store for solar generator accessories at http://www.hp.com/go/options www.hp.com/go/options 17 External power supplies, power cords, cables and peripherals are not low halogen. Service parts obtained after purchase may not be low halogen. 18 HP Support Assistant: Requires Windows and Internet Access. 19 Power On Authentication: HP commercial platforms support password with this feature and fingerprint where applicable. 20 HP SoftPaq Download Manager (SDM); HP System Software Manager (SSM); HP Management Integration Kit for Microsoft System Center Configuation Manager: Not preinstalled, however available for download at http://www.hp.com/go/clientmanagement. 21 HP Driver Packs not preinstalled, however available for download at http://www.hp.com/go/clientmanagement. 22 HP Management Integration Kit can be downloaded from http://www8.hp.com/us/en/ads/clientmanagement/overview.html. 23 Hybrid Graphics configurations and Intel HD graphics configurations. 24 Requires Windows and Intel® 7th generation processors 25 HP ZBook x2 G4 detachable pc is planned to be available for shipment with the above Intel® 7th generation processors in December 2017 and Intel 8th Gen processors in early 2018. 26 Windows Defender Opt In, Windows 10, and internet connection required for updates. 11 HP Client Security Suite Gen3 requires Windows and Intel® or AMD 7th Gen processors.